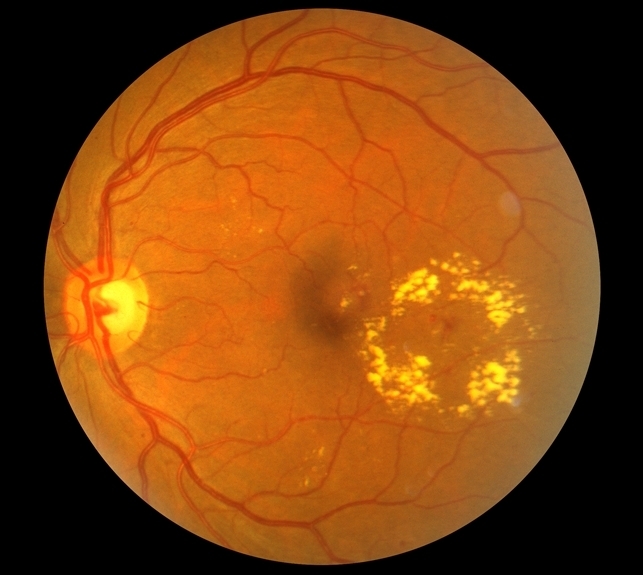 Cystoid macular edema (CME) is caused by leakage of fluid into the retina. This leakage forms cysts in the center of the retina (macula) which can be seen best with fluorescein angiography and Optical Coherence Tomography. The leakage is usually from inflammation which can result from many conditions, including cataract surgery, lens implantation, retinal detachment, inflammation in the eye (“uveitis”), diabetic retinopathy and macular degeneration. The treatment depends on the cause. CME is most commonly found after cataract surgery. In these cases eye drops are first tried, including topical non-steroidal anti-inflammatory medications (NSAIDS) and steroids. If the edema does not resolve, a steroid injection behind the eye may be tried. Finally, vitrectomy surgery may be required to remove the vitreous gel which may be pulling on the macula causing inflammation and leakage. It is important to realize that CME can result even following perfect cataract surgery. In fact, as many as 25 percent or so of patients may have CME after cataract surgery. In most cases, however, the vision is not significantly affected.